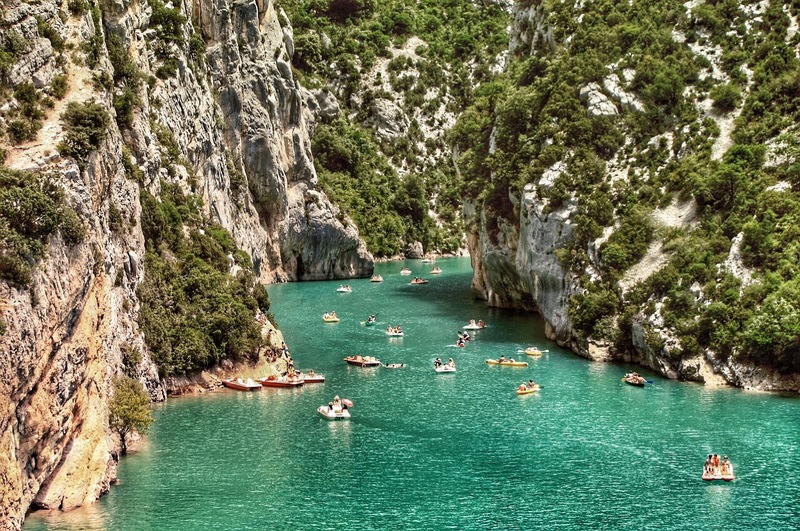 The Gorges de l'Ardeche is one of the most beautiful natural sites in France, in the Rhône-Alpes region of France. An absolutely unique and wonderful place that enchants with its spectacular and wild landscape. An incredibly rich geological and archaeological heritage, with kilometers of canyons and limestone plateaus that are absolutely unique and evocative. 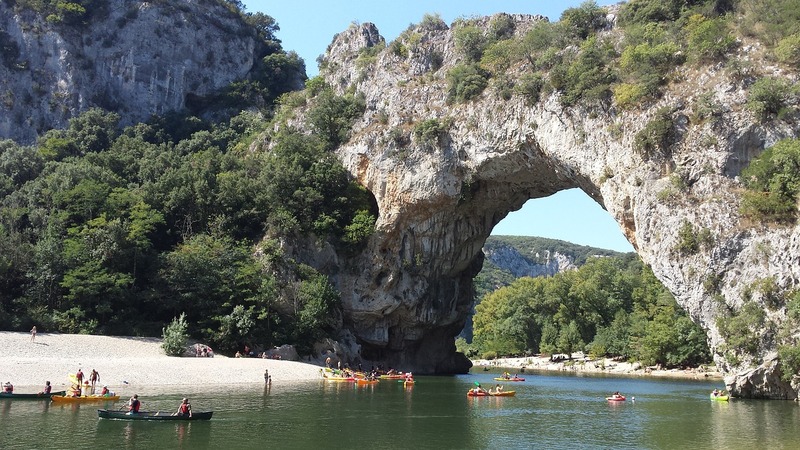 Every year, the Gorges de l'Ardeche attract thousands of visitors, thanks to the numerous opportunities they offer; here, in fact, it is possible to practice caving, climbing, the descent of the gorges with canoes, kayak or boat. And, again, trekking or bungee jumping. There are paths all over the place. You can choose to do them in total autonomy, or with specialized instructors and guides. The Gorges extend for a total area of ​​1575 hectares and, from 1980, has been classified as a Natural National Reserve to protect the thousands of species of animals and plants that inhabit it. Among these, the Bonelli's eagle, the vulture vultures, the peregrine falcon, the European beaver, the otter, the bat, the alosa and many others. More than 7000 hectares, they are also included in a Natura 2000 site, recognized at European level. A truly wonderful heritage, with a richness and uniqueness of flora and fauna that are unlikely to be the same across the country. Rivers, streams, woods and scrubland, rocky walls, caves and much more. Truly a magical place, all to be discovered. You can visit the reserve on foot, in total autonomy, following one of the ten different routes, for a total of 84 kilometers! The paths offer beautiful and evocative points of view on the surrounding gorges and plateaus. The descent of the Gorges by canoe or kayak is one of the most loved and practiced activities. The points of view and the landscapes that open up to visitors, along the river, are truly marvelous and evocative. Depending on the season and the water level, fans can follow itineraries from a minimum of 6 to a maximum of 32 kilometers. Trekking is very popular around here. You can follow fantastic itineraries that alternate between plateaus, river and sheer cliffs, with views of the gorges and meanders. Remember that it is forbidden to leave the indicated routes. Accompanied by experienced staff, you can practice activities such as rock climbing or the caving of many underground caves. And for a truly complete experience, you can even sleep for a night in a tent, inside the reserve. In this case, reservations are required in one of the bivouacs in Gaud and Gournier. The Pont d'Arc is one of the most loved, visited and photographed places of the Gorges de l'Ardeche, of which it represents a real gateway. It is a spectacular natural arch, along 60 meters and 54 meters high, below which the river continues to flow. You can cross it by canoe, admiring the truly unique spectacle of the meander. In summertime, in costume, you can relax in the sun or cool off, taking a refreshing bath in the cold waters of the river. The Grotte de la Madeleine are probably among the most beautiful and interesting in France. They present very rich calcareous concretions, with surprising shapes, and really fascinating and suggestive chromatic shades. Along the D290 Tourist Route, a road to the right (well indicated) leads to the Grotte de la Madeleine. The site is located site is on the left bank of the Gorges, about 7 km from the beautiful village of Saint Remèze. April, May, June and September, from 10: 00 to 18: 00. July and August, from 10: 00 to 19: 00. October and November, from 10: 00 to 17: 00. The admission ticket costs 10,50 € per adult and 6,00 € from 6 to 15 years not completed. Children under the age of 6 not completed, enter FREE. The "Casa" is located near the Caves, and hosts a permanent exhibition that introduces the discovery of the Gorges de l'Ardeche reserve. In addition to an interesting exhibition, suitable for all ages, not to be missed, on the outside, the spectacular view of all the Gorges, and, in particular, the Rocca della Cattedrale, a marvel of nature. The landscape really leaves you breathless! Admission is free. Info and updates available on the official website, through this link. 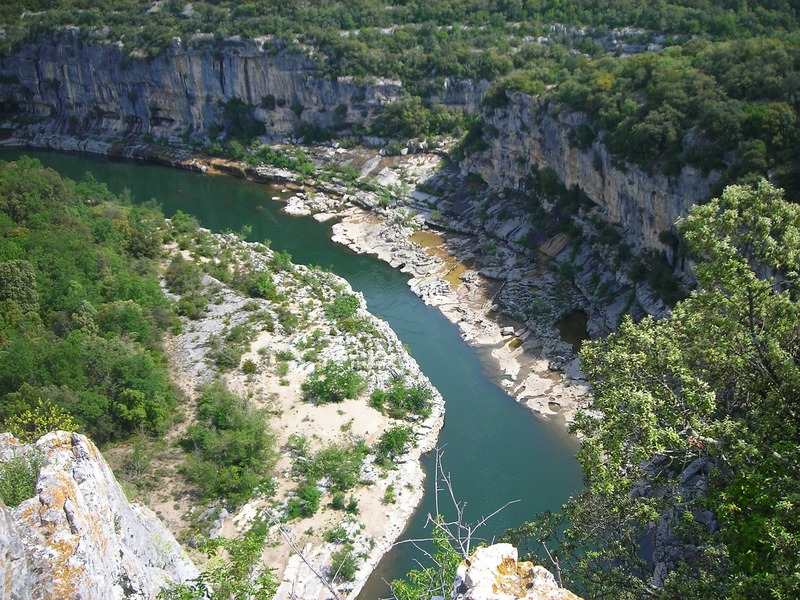 Just over 80 kilometers separate the Pont d'Arc, entry of the Gorges de l'Ardeche, from Nimes and Avignon. From Marseille, you have to travel about 170 kilometers. Lyon, north of the Gorges, is instead 200 kilometers. Few doubts that to reach this wonderful corner of paradise, the car is necessary, or, alternatively, the two wheels. A viable solution could be to rent a car directly at the airport. The Gorges, of course, are an obligatory detour, in case you should also visit the same Provence or the Côte d'Azur. From the north side, you can take the panoramic D290 road, which perfectly follows over 30 km of canyons excavated in the limestone plateau between the Pont d'Arc (Vallon Pont d'Arc) and Saint Martin d'Ardèche. Beautiful and magical places await you in case you decide to stay along the area that crosses the canyon. In the beautiful village of Vallon-Pont-d'Arc, a few kilometers from the Pont d'Arc, you will have a wide choice. The Perched Chat offers comfortable double rooms with breakfast included, about € 80 per night. Our favorite is Gîtes Les 3 Cigales, also suitable for families. Located next to the GR4 hiking trail and 50 km from Montélimar Train Station Gîtes Les 3 Cigales It offers self-catering cottages, an outdoor pool, a garden and free Wi-Fi. The cottages at Gîtes Les 3 Cigales feature a terrace with mountain views, a sofa, a wardrobe and a private bathroom with a bath or shower and toilet. The fully equipped kitchen or kitchenette includes a fridge, a microwave, a toaster, a high chair for children, a barbecue, a coffee machine and kitchenware. You can book your stay at a special price, from this link.